Sokratis Papastathopoulos has claimed that Arsenal are only operating at ’70 percent’ of their full potential, following the Gunners’ hard-fought 2-1 victory against AFC Bournemouth on Sunday afternoon. Arsenal fortuitously stole a march in the encounter through Jefferson Lerma, who emphatically diverted Sead Kolasinac’s searching cross into his own goalmouth. However the north-Londoners justly were pegged back before the break, when Joshua King rattled the top left corner of the net after being slipped into contention by David Brooks. Unai Emery’s men rallied in the second-half and finally restored their initial lead in the 67th minute. Pierre-Emerick Aubameyang, courtesy of Kolasinac’s intelligent assist, crashed home from close proximity, a defining goal that ultimately extended Arsenal’s scintillating unbeaten run to seventeen across all competitions. 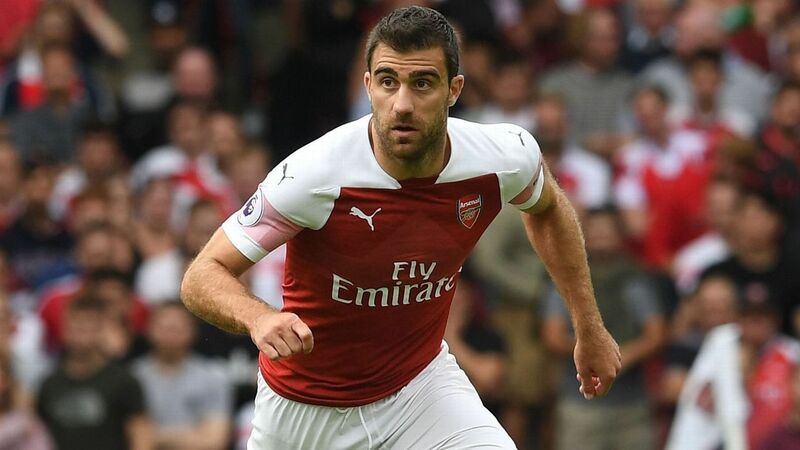 A mainstay in Emery’s matchday contingent, Sokratis has consummately anchored the heart of Arsenal’s defensive department since joining the club in the summer transfer window from Bundesliga outfit Borussia Dortmund. Although Arsenal may be recognised as one of the continents in-form set-ups, the Greece international suggests that there’s still more to come from he and his teammates, and even pinpointed specific areas where the squad needs to improve indefinitely, if they’re to preserve their competitive edge. “We are around 70-80 per cent,” the 30-year-old defender revealed. “We need to improve sometimes to not lose the ball or when we have the ball to finish the action and score. “That is the difference, we need to improve and we know this. We work every day and I am happy that I am part of a team that works very good together. Emery opted to deploy a back three, consisting of Sokratis, Rob Holding and Shkodran Mustafi, for the first time in the Premier League at the Vitality Stadium, a strategic measure that competently withstood the Cherries’ potent firepower. “We know that we need to improve more but I think it was a good result and most of the game we played good, we didn’t play back. Share the post "Greece international claims Arsenal are operating at ’70 percent’ of full potential"